Our Picnic Spots are all in a unique setting. 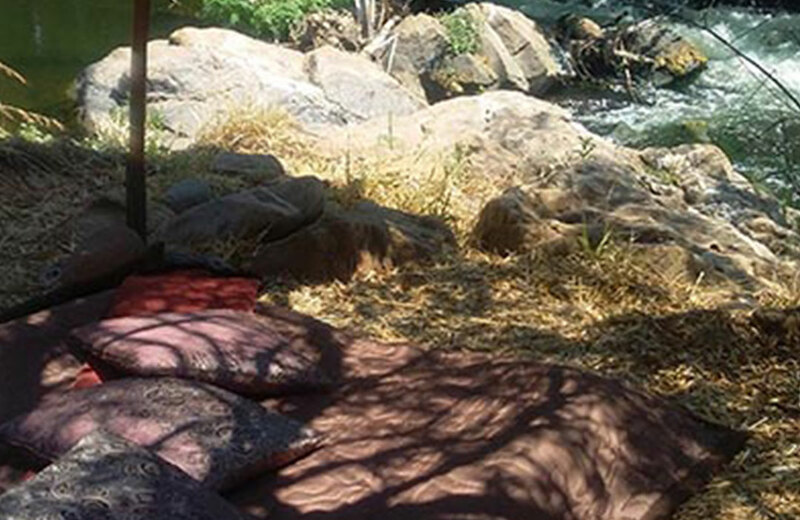 Our Picnic Spots are all in a unique setting, nestled in the river bank, tucked under gazebos and protected by our river island on which Cape Clawless Otter hunt, relax, sip on Wine or Bubbly and watch the river birds surf the rapids a few feet from the comfort of your lounger. 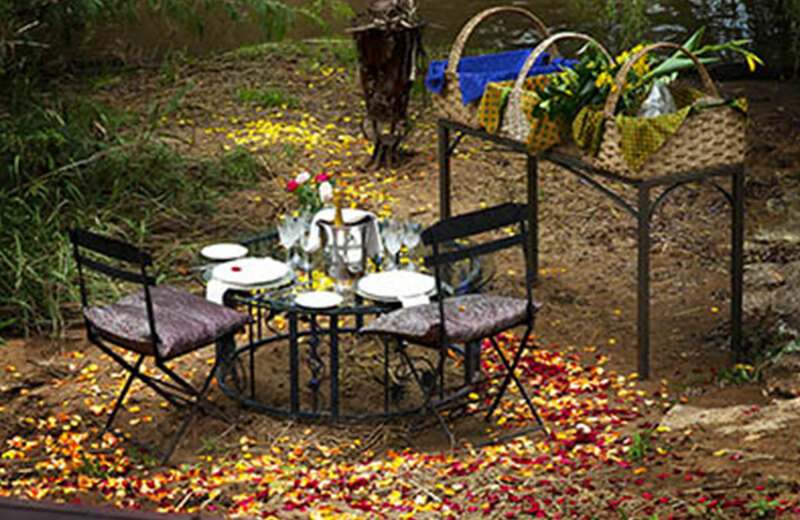 The Gourmet Romantic Picnic baskets are set up with mattress, cushions and throws on a private stretch of river with abundant birdlife where even the very shy and rarely seen African Finfoot has taken up residence. The Luxury Picnic Spots…Rapids, Aphrodites, Ophelia’s and Fish Eagle picnic spots are completely private and surrounded by tall reeds and trees, sheltered under an enclosed thatch gazebo. The interiors are designed for romance with a comfortable double bed flop spot, mosquito nets and an intimately set table alongside the river. The Boudoir Picnic Spots at The Willow Tree Hideaway or The KingFisher River Loft, are the ultimate in romantic decadence. For those very, very special occasions…this is the ultimate treat. Enjoy wraparound views of the nature reserve and let us indulge you with our delicious and wholesome picnic fare. We cater for meat eaters, vegetarians and vegans, gluten intolerant and Halaal guests. Lethabo offers you a choice of three romantic, delectable and enchanting couples picnic experiences as well as group picnics or picnic for family gatherings, party celebrations and corporate functions. Picnics are from 11.30am to 4pm or from 4.30 to 9pm. Our Gourmet Romantic Picnic is set in a tranquil spot next to the river on a double mattress with pillows and throws under a Caribbean umbrellas. 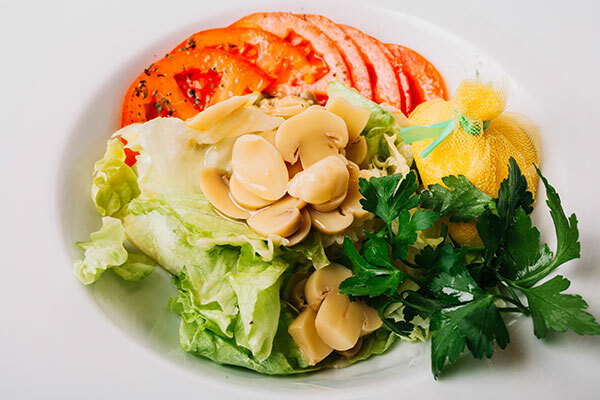 Watch abundant bird life while you enjoy our delicious cuisine and enjoy the beautiful river view. This picnic is suitable for light rain only! Should it rain we relocate you to the pool deck on couches set apart from other guests overlooking the river. 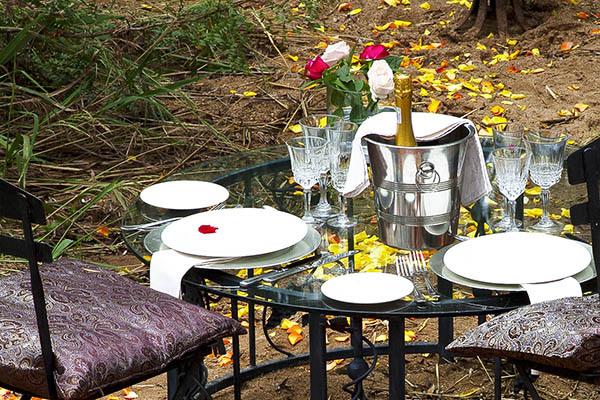 Our Luxury Romantic Picnic is in unique and absolutely private lover’s retreat on the river and protected from rain and sun by a Bedouin tent or little thatched gazebo. The interiors are designed for romance with a comfortable double bed under a Mosquito net to get close and intimate with our complimentary bubbly or wine and selected drinks, petals and delicious picnic baskets. The very adventurous can swim in the river, so bring swimming gear and takkies. 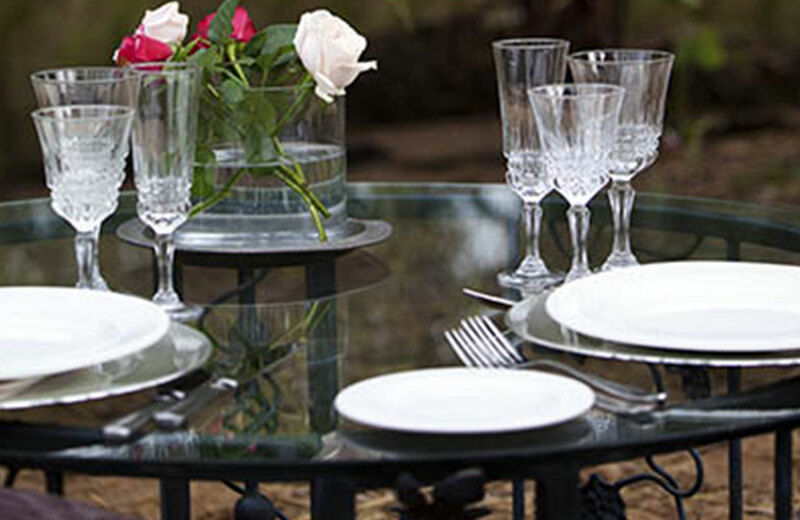 The Boudoir Romantic Picnic is a very gorgeous, private and the ultimate in luxury. This completely private affair is for very special occasions. It is set in either The Willow Tree Hideaway or King Fisher River Loft. These are both our private honeymoon boudoirs perched on stills on the river banks with Jacuzzi Spa baths music, movies and petals.